Small cartoon for the Siemens company magazine to accompany an article about phone systems, drawn in 1998. Black-and-white line-art, but presented here more prettily, with a fancy Tudor background-filler, and use of one of my favourite fonts as the explanatory title: Harold Lohner’s “Sonnet”. Using Sonnet in a Tudor context is an anachronism since the font is actually based on Thomas Thorpe’s 1609 printed editions of Shakespeare’s Sonnets... but then, Henry VIII didn’t have a phone handset either, so I think I can get away with this. (Actually, he probably didn’t even write Greensleeves). 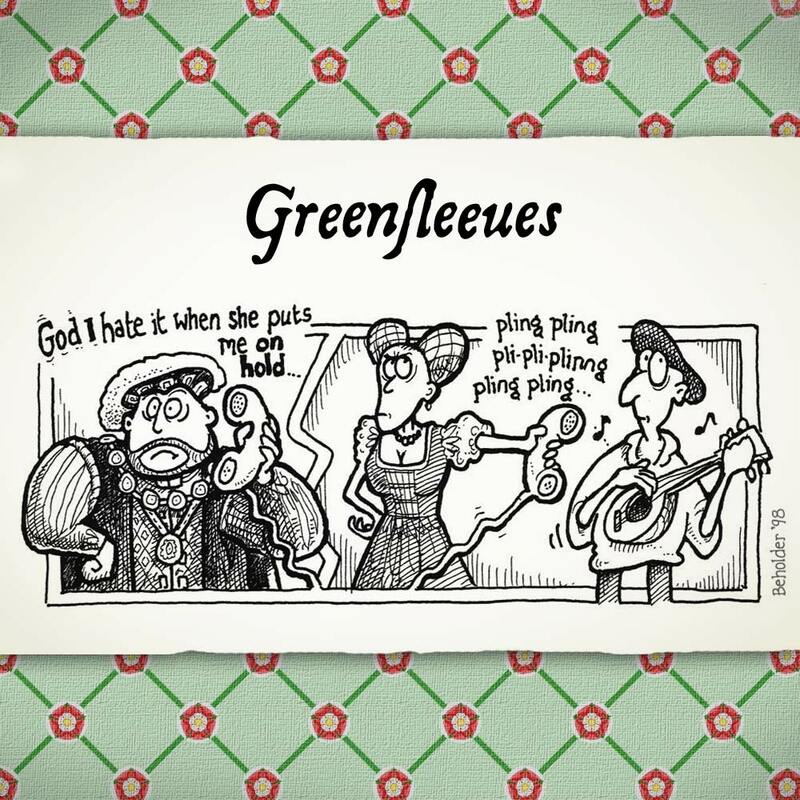 In either case — that is, in the reigns of both Henry VIII and Elizabeth I — printers would use a “u” in “Greensleeves” where today we expect a “v”, so I’ve done the Right Thing here.